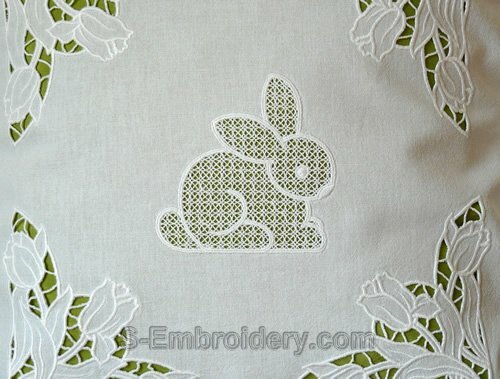 Easter bunny cutwork lace machine embroidery design. 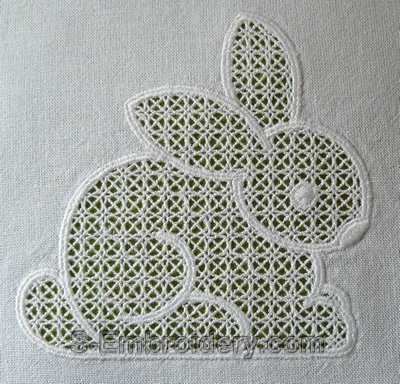 The design comes with instructions in PDF format for creating cutwork lace decorations. 1. The design will NOT fit in 4x4 (100x100) hoops. 2. 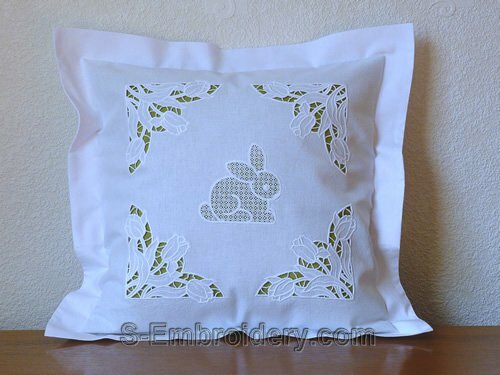 The cutwork lace tulip embroidery on the images is NOT included. It was created with the SKU 10498 Tulips Cutwork Lace Embroidery.